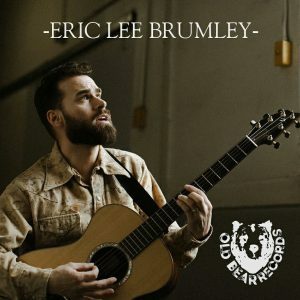 Born in Kansas City, MO, where his parents met while his mother was in music school, Eric’s soul is rooted in the nitty-gritty Gospel sounds of old, from The Staple Singers to the Blind Boys of Alabama and everything in between. Eric has been singing and preforming after accepting Christ at the young age of 5 years old. At 12 years old, his creative journey began to take shape as he began writing his own music. His unique giftings gave way to being able to minister cross-culturally among varied people groups in the city of Boston, MA, embracing soul culture. At an early age, he fell in love with traveling while ministering. While still young, he traveled to Romania with “The Continentals” youth ministry team. In his teens, Eric’s faith began to waiver and he started to become the wrong crowd. Living in an alcoholic home finally took its toll. He dropped out of high school and worked long hours on a lobster boat. It wasn’t long after, drugs and reckless living became his escape. Years of wild living, jail, theft, and flat-out rebelliousness brought him to the doors of Teen Challenge. It was there where, after many storms and trials, he finally submitted his will, life and talents to the Lord Jesus Christ. Eric graduated Teen Challenge and ministered there for 7 years, eventually meeting his beautiful wife Nicole, who also graduated Teen Challenge. Eric and Nicole have two daughters and have currently been married 11 years. Nicole has her MA in counseling from Gordon Theological Seminary as well as her BA in Biblical Studies from Zion Bible College. Through contacts at Teen Challenge, Eric had a short contract with the Boston Red Sox and Cheers restaurant doing music. This was a special gift from God, as Eric always wanted to be a professional baseball player. He also was a part of a live album, recorded California, where he received the key to the city of Palm Dale. Eric’s ministry has allowed him to lead thousands in worship for over 15 years. 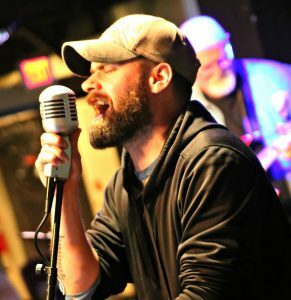 Currently Eric is the Music Director for Broken Chains Biker Church in Holbrook, MA, as well as a union carpenter in Boston, MA. He has ministered in music everywhere from big stages, to subway platforms. Recently, Eric has been able to use his giftings in local musicals featuring the styles of disco, doo wop, Motown and oldies. In addition, Eric was featured on Bushcraft Buildoff on the Discovery Channel. Eric and his family currently reside in Taunton, MA with their dog Sage. 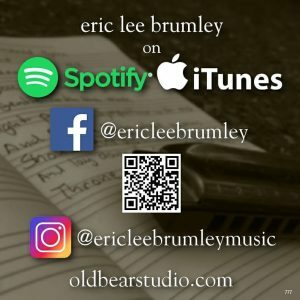 You can find him online at ericleebrumley.com and on Spotify.